There's No Water at the FDC! There are 2 choices. What would you do? 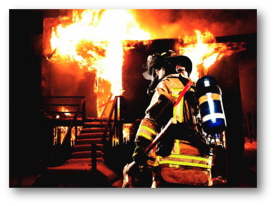 Water is the fundamental resource needed to battle a building fire. 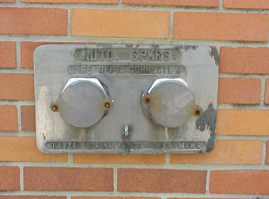 In urban areas where conventional street-side fire hydrants are few and far between, a rational solution long practiced has been to connect the auto sprinkler systems within buildings with exterior fire department connections. These FDCs are usually directly available at the sidewalk. It was the next best thing to a fire hydrant, and in some ways, a better one, because it allowed sophisticated metering systems to properly allocate fire line use to the property owner that actually used them. Prior to this practice, cities were left with the water bill. Now, even buildings in large campus settings with plenty of green grass and parking lots rely on this method of fire water distribution. Why? That’s simple. It gets the water paid for by the property owner in need rather than leaving it for the local taxpayers. Don’t get me wrong. I believe the property owner should pay for the water needed to vanquish a fire. After all, property owners have casualty insurance and the fire water costs are baked in as an expected cost item. 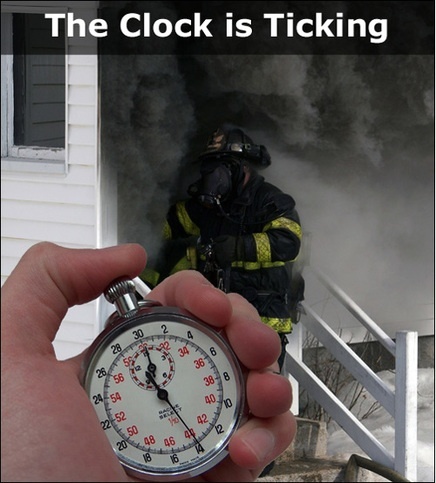 But when space allows, there is a better place to locate these resources – especially for fire fighters’ safety. A firefighter rushes a 200-lb hose 50 yards across a beautiful grass lawn to an FDC mounted to the exterior wall of a burning building. The fact that he had to go all the way to the building in the first place is bad enough. But worse, when he hooks up, he finds that it is dry. No water. Of course, this is evidence that most likely, no water is flowing through the sprinkler system within the building either. Despite the fact that this should NOT happen, it does happen. He now has two choices and the clock is ticking. Return to the nearest street hydrant which might be blocks away and interconnect the necessary hose to reach the fire. Find the valve that has been shut off – most likely a backflow prevention assembly (BPA) – and open it. By law, BPAs for fire lines are required to remain open at all times. But humans manage these devices and humans fail regularly. Before we can even be sure the BPA is the culprit however, we have to find it. The question is its location. It could be in an underground vault near the street. Loose ladders, waist-high water, and snakes are but a few of the many worries he must consider if this is the case. Alternatively, it might be in a mechanical room inside the burning building. Most likely, it is on the opposite side of the wall where the FDC is. But did I mention it's a burning building? All across the country, from frigid western New York, to moderate central Ohio, to warmer north Texas, forward-thinking cities are rewriting the rules for fire water resource location. location just beyond the right of way in an aboveground heated aluminum enclosure with an FDC mounted right to the side of the enclosure. Not only is the FDC far from any building fire, but if there is a reason to access the backflow preventer, it is right there out of harm’s way. Many other cities have gotten very close to this best solution by mandating that the fire line BPA be located at this same location, essentially at the street. In late 2012, the city of Chicago recognized that protecting fire fighters is central to any fire program. They made changes even as a city with an abundance of buildings where placing these resources at the street is not an option due to urban space constraints. In October of that year they amended their fire line installation guidance for all commercial properties with 50 feet or more of distance from the tap to the building to require that the fire BPA be located near the right of way in a heated, aboveground enclosure. In the code, there is no mention of mounting the FDC directly to the enclosure, but we already know that in practice, it is the preferred method. Like Chicago, other cities are adopting similar guidance creating an emerging new best practice for fire line installation. 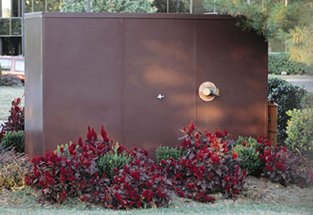 Charlotte, NC and Lynchburg, VA (see page 15) are two examples where fire lines are now installed aboveground in heated, aboveground enclosures that meet the ASSE 1060 standards. If you live in or know of a city that has adopted similar guidance please comment below. We are eager to remain fully informed about such changes.